Debra Morgan's (Jennifer Carpenter) desk items from Showtime’s psychological thriller Dexter. 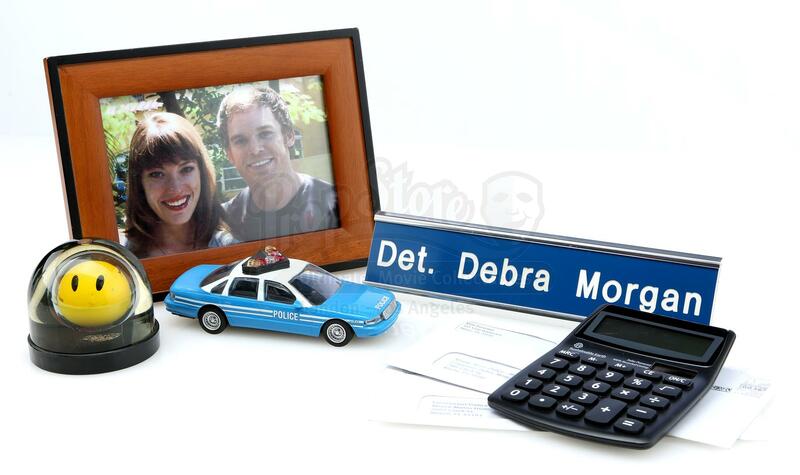 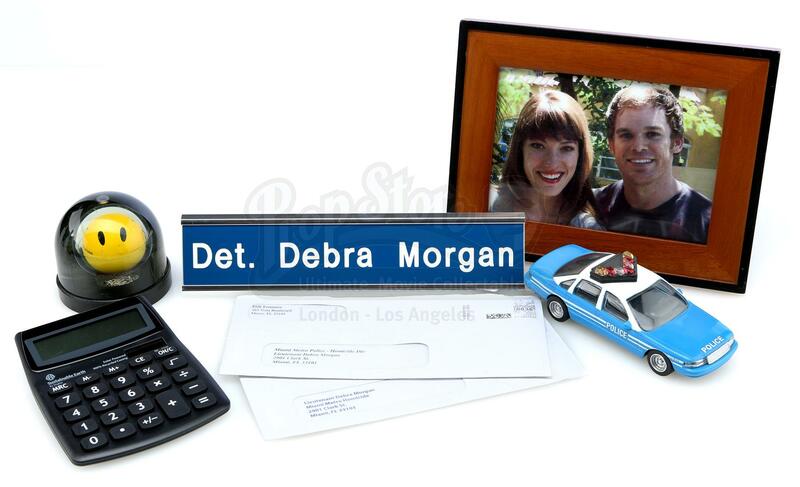 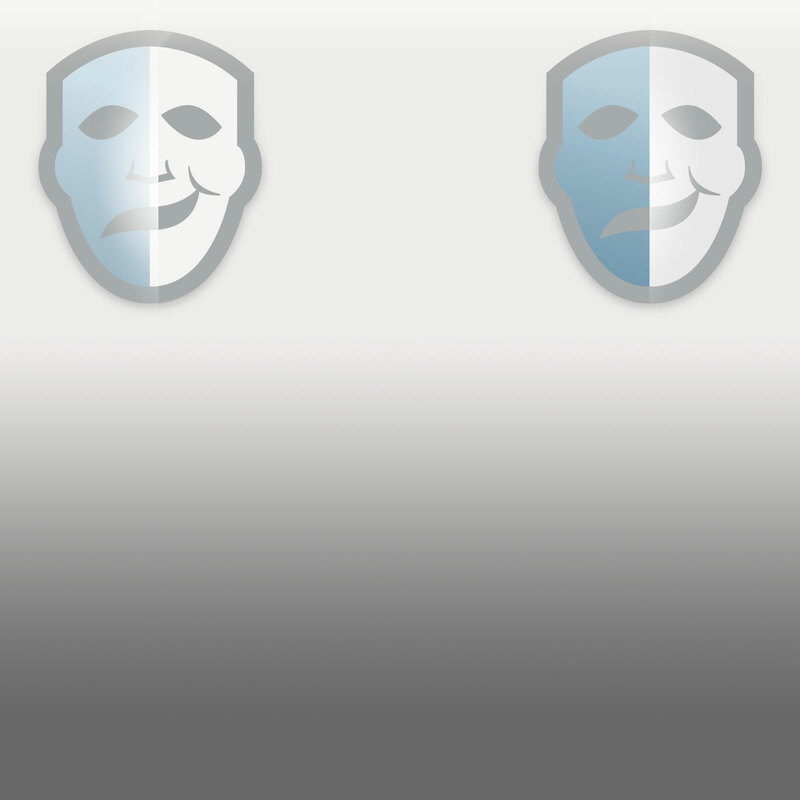 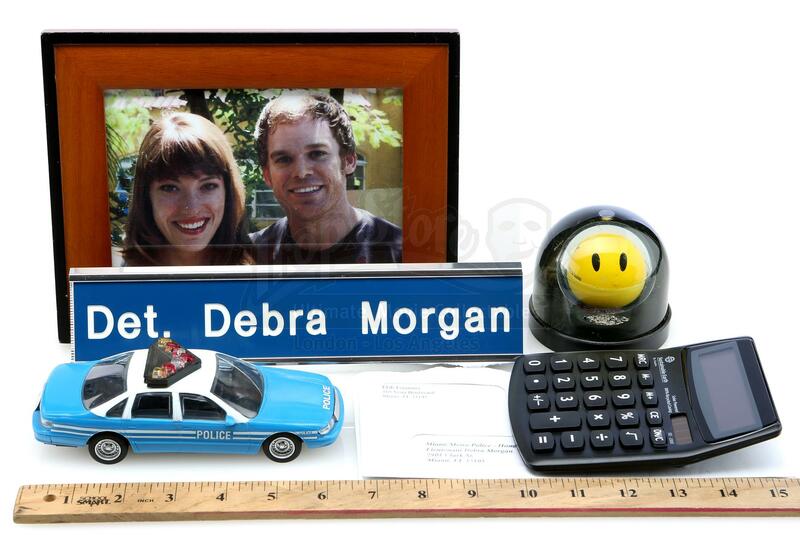 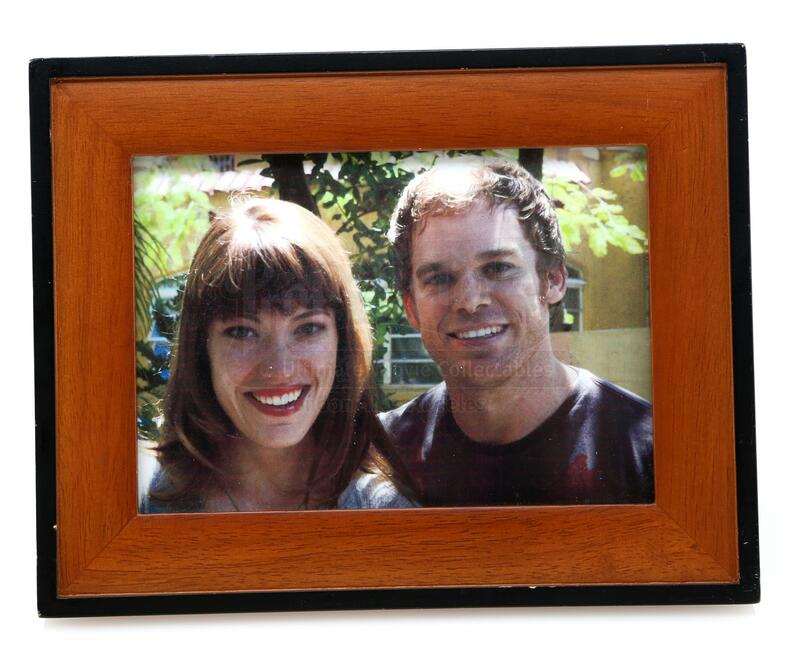 The grouping consists of a wood-framed photo of Debra and Dexter (Michael C. Hall) labeled ‘Deb Desk’, two production-opened envelopes addressed to ‘Lieutenant Debra Morgan’, Debra’s aluminum desk sign with blue nameplate, a blue plastic Police car, a yellow happy face snow globe paperweight, and a black plastic calculator labeled ‘Deb desk’. 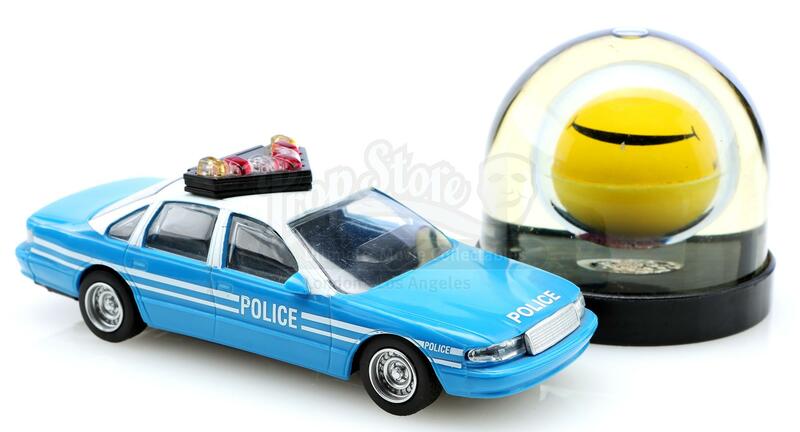 These pieces are in overall very good condition. 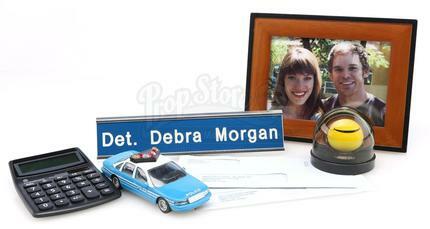 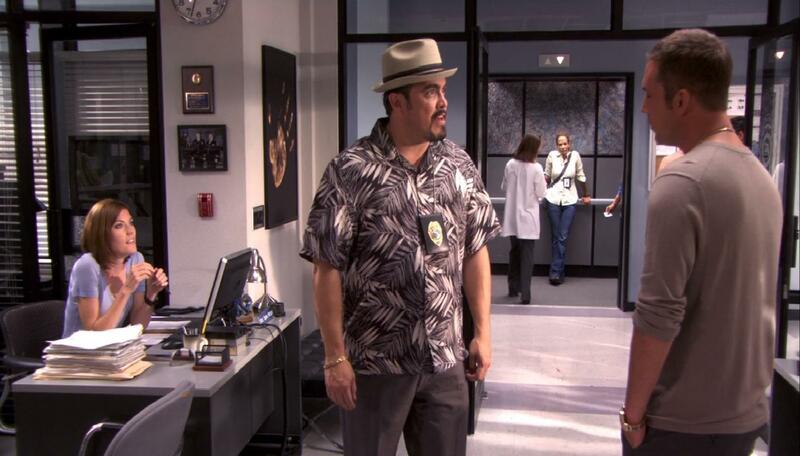 Debra’s covers her investigator’s desk at the Miami Metro Police Department with personal items throughout the series.